Lots of planning and in posts. We all start back to school/nursery tomorrow in our house; part of Mr T+G and I being teachers. The Autumn term is a blur so Christmas and Halloween have some forward planning. 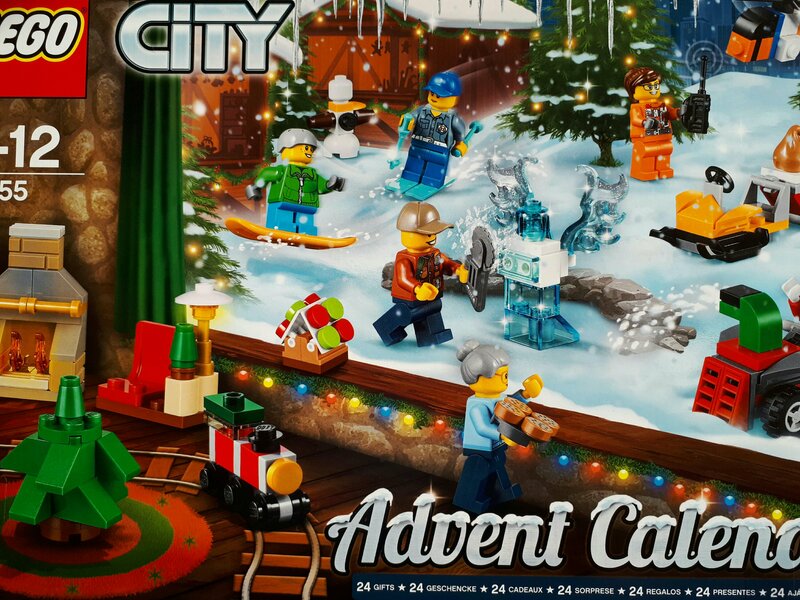 Last year, my brick addict, Lego obsessed son missed out on a Lego advent calendar. I was not quick enough and they sold out super fast. So Sept 1st rolled around and up pops the Facebook memories. The one from last year that reminded me to buy one and I still missed it. Not this year. Online shop with Argos (There are loads of stockists, Amazon, John Lewis being a couple more. Not to mention you can buy direct from Lego) Ordered 1st Sept at 9am Delivered 2nd Sept at 8.21am. Boom. I’m making a pen, craft and pencil advent calendar for G.
There are different versions such as Star Wars and Friends but I chose City with its traditional Christmas vibe. 24 pieces, one for each day of Advent complete with Santa, Snowboarders, mince pies and Ice sculpture. Great value when you think a mini figure pack is £3. £19.99 from Argos. While stocks last as these sell out fast.